Listed below and updated daily from the MLS are Stonegate luxury townhomes for sale, a development located at 5808 Minaret Road in Mammoth Lakes, CA. Stonegate is a luxury development consisting of 14 townhomes, all of which are free-standing homes without any shared common walls and zoned "resort" and nightly rentals are allowed. Construction was completed in 2007. Townhome details include oversized 2-car garages, either a 3-bedroom & loft & den, 4-bath "Cabin" floor plan with 2500 square feet, or 4-bedroom & loft & den, 5-bath "Lodge" floor plan with 3,500 square feet. This small development of luxury townhomes backs to the Sierra Star golf course and zoning allows for nightly rentals. Gross average annual rental income can exceed $95,000, which makes Stongegate condos for sale great investments. 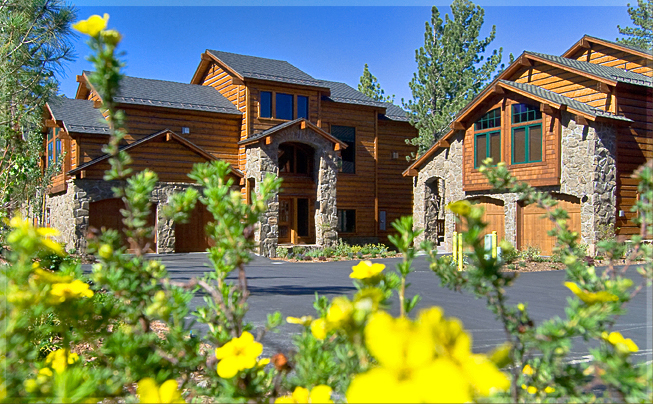 The convenient location is a short walk to the Village at Mammoth and nearby shuttle bus transportation.